If the mark of a grand cru quality vineyard is consistency, then certainly Montafi Ranch qualifies. 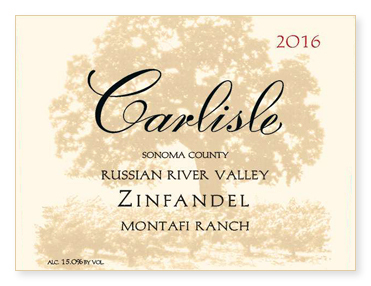 Year in and year out, Montafi Ranch is always in the discussion of “favorite Carlisle Zinfandel of the year.” For 2016, Block 1 was picked on September 13th while Block 2 was picked a week later on September 20th. As customary, each lot was fully destemmed, cold-soaked for five days, and pressed to all French oak, 24% new, after 18 days on the skins. Bottled without fining or filtration.